Just a quick pic for now! 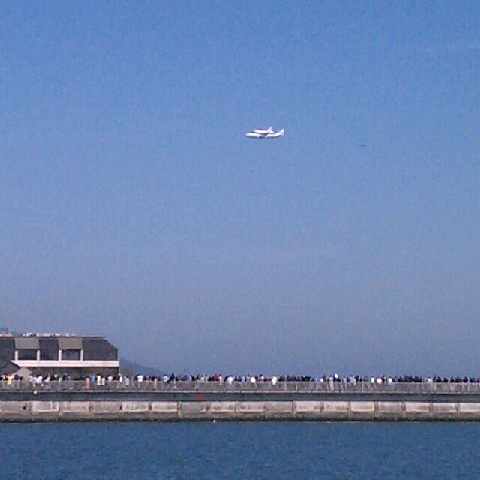 Saw thw Space Shuttle fly over The City around 10:30 this morning. More pics from the dslr soon. cool. can't wait for the rest. The first comment went off into cyberspace somewhere. Thank you form ALL of us!